It definitely felt like Spring today. Warm sunshine all day and at last the daffodils have started opening. For many years now I have wanted to capture in paint the beautiful old oak tree in our garden. Last week I made a start. 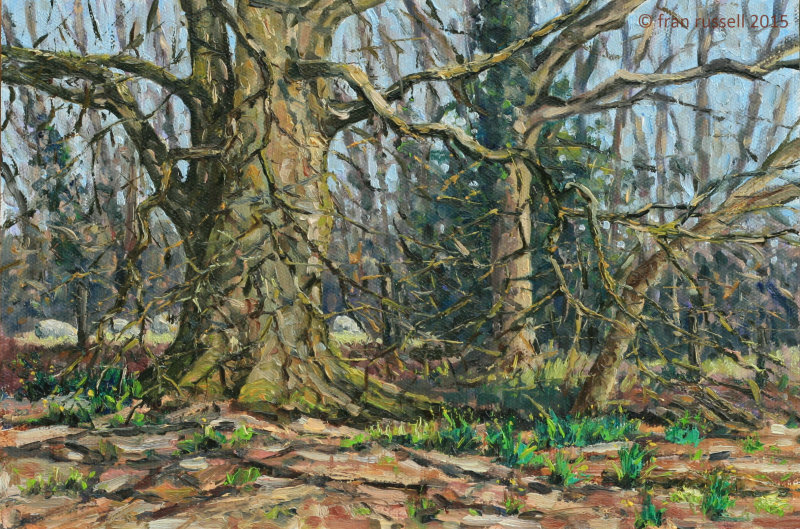 I decided to paint in the afternoon when the sun hits the tree and brings out the variety of colours in the bark. I was unable to finish it in one session because of the light changing - so with the weather and light right today, I went out and finished my little painting. It was so good to be out there.